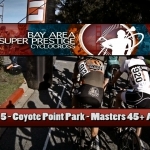 This was the first race of the Santa Rosa Cup CX Series. Watch the singlespeed A men trail the Elite men on the Place To Play Park race course. 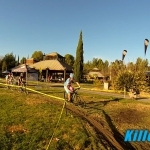 The conditions were hot, dry, and dusty. Luckily the wind held back and made the long flat stretches a bit easier.